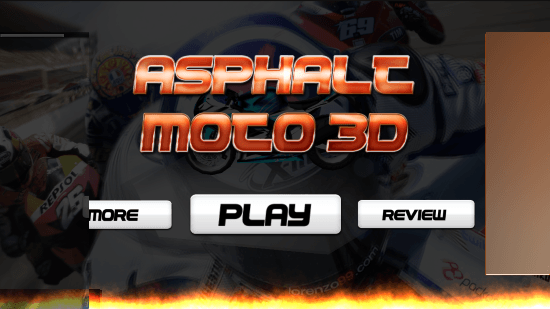 Asphalt Moto 3D is a free racing game for Windows 8 and 8.1 computers. 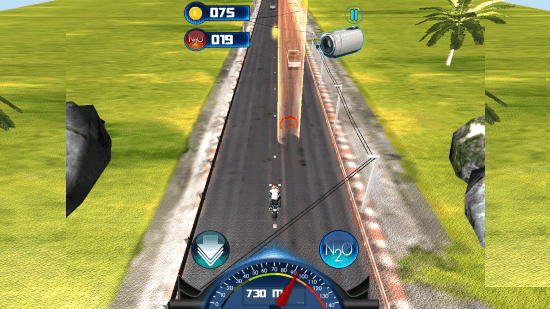 This amazing bike racing game is Published by Creato. 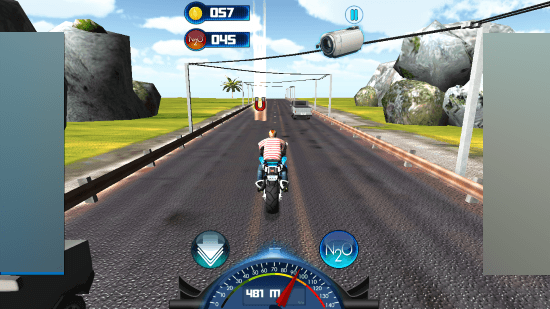 If you love bikes, and are passionate about them, then this game is definitely for you. Take control of your favorite superbike, and ride the highway at maximum speeds. 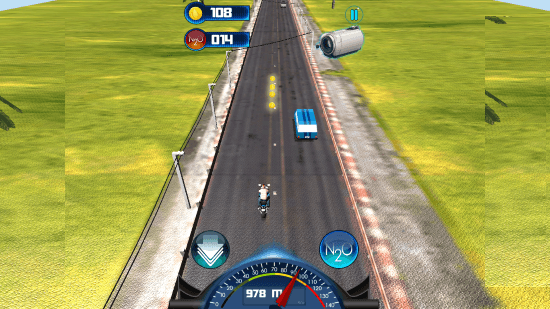 Use nitrous to boost up your speed, collect coins, and make high scores in this ultimate bike racing game for Windows 8. This 22.7 MB racing game for Windows 8 can be found in Windows App Store. Type the game’s name in the search bar to find the game. A download link has also been provided at the end of this article. Click on Install button on the game’s page n the Windows App Store. It will automatically download and install the game. Use the Navigation Keys, or WASD keys to move your superbike. 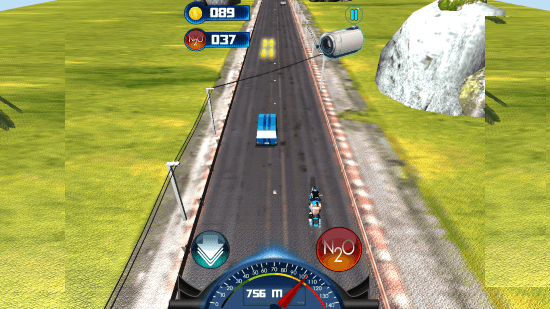 This racing game for Windows 8 provides real time response and action. Before you begin playing this game, you have to choose a bike. Go through the 5 available bikes to select one of them. Only 1 is available for free when you play this game for the first time. 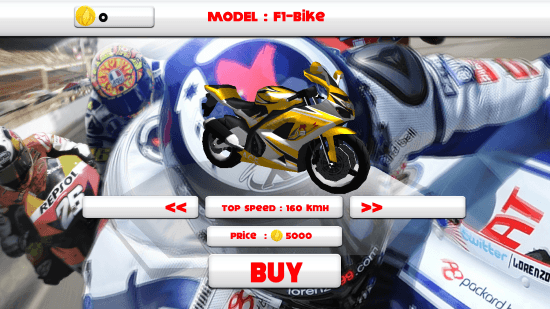 Win races, and collect coins to buy and unlock new bikes. Use your mouse to drag the bike to take a 360 degree view. Two road maps are available to play this racing game for Windows 8; select either of them to begin playing. The dashboard can be seen at the bottom of the screen. It displays the speed, and the distance traveled per game. Watch out for the vehicles, collect golden coins, and other bonus, like: coin magnets, and speed boost. Click on the N2O button to apply nitrous. This boosts you bike’s speed while you perform a wheelie. The other blue button is for brakes. Click on the Camera to change views. The first view is bird’s eye view, and the other 3 views are from behind your superbike. You only get a single life in this racing game for Windows 8. Once you crash, you need to restart to play again. 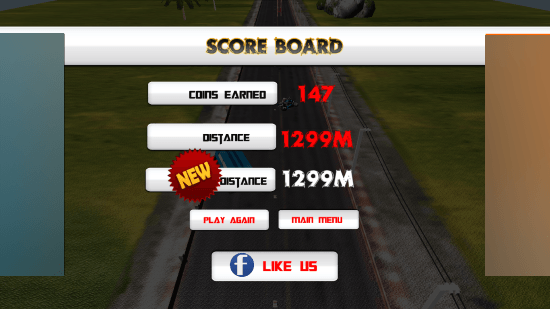 View the distance covered, coins earned, and the best score when the game ends. You can also play this racing game for Windows 8 on Windows 8 tablets. This racing game is a must have for racing lovers, or if you want to kill some time without getting bored. The visuals are exceptional, so are the sound effects. 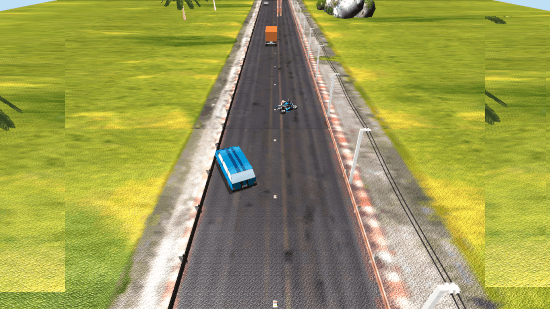 Download Asphalt Moto 3D for Windows 8 and 8.1 computers.